The over-wintering and fertilised queen wasp emerges from hibernation around mid-April and searches for a suitable site for her colony. From chewed bark to dry timber mixed with saliva, she makes the initial nest, which is smaller than a golf ball. Within this nest she lays between ten to twenty eggs feeding the resultant larvae herself. The emerging wasps become the first adult workers taking the task of enlarging the nest and providing food for subsequent eggs laid by the queen. 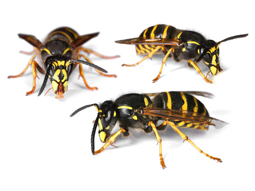 By late August a normal wasp nest can contain from 3000 to 5000 individuals and may be larger than a beach ball. Around this point, summer males and young queens may emerge; mating occurs, and the fertilised queens fly away to select suitable harbourage for the winter. With the onset of autumn, workers and males become sluggish as they are feeding on over-ripe fruit that can produce a “tipsy” appearance, leading to aggressive behaviour towards any interference. Workers and males are killed off in winter, with only fertilised queens surviving in hibernation, to start new colonies the following spring. Old nests are reused, although favourable sites may have new nests built close by. So, if nests are left untreated, the following year can result in multiple nests in the same locale. The house mouse has been identified from pre-Roman iron age deposits and is believed to have arrived in Britain around the tenth century BC. It is common in a wide range of rural and urban homes in Britain and, although mainly a house-dweller, it may live outdoors for part of the year. Usually less than 23g, combined head and body length up to 100mm. Gnawing is a large part of both rat and mouse behaviour as their front teeth are constantly growing. Almost any kind of material found in the home may be gnawed and classic examples are water pipes and electrical cables. Rats and mice burrow hard to build nests to rear their young. They are also exceptional climbers and are even able to climb vertical walls if the surface is sufficiently rough. Rats and mice have very different feeding behaviour which must be taken into account when baiting. For example rats are initially very cautious of baits but once they have tasted a bait, they will gorge themselves and return for more later. In contrast house mice prefer to nibble at various bait stations and therefore a large number of bait points are required. If rat and mice infestations remain untreated, they can produce sexually mature adults within 12 weeks with up to 11 in each litter. So within two months, if there is enough food and water available, infestations can become out of control. Living in a rural environment it is expected from time to time that a pest species will enter your home. Surveys suggest that the rodent population in the UK has increased a worrying 34% since 1993. This rat is also known as the Brown Rat, Sewer Rat and Norway Rat. It is the most widespread rat in the UK, the only other significant species being the black rat. The common rat is an omnivore where the adult weighs up to 700 grams and has a total length, including the tail, of around 400mm. A large rat can squeeze through a gap of only 25mm and enters buildings via broken drains, adjoining walls, subterranean conduits or broken vents and holes outside. Brown rats are only pregnant for three weeks and can have 6 – 11 babies in a litter resulting in a rat infestation building up very quickly. For this reason, it is very important to employ a professional pest control company to treat the problem and Heritage pest control can provide the fast and efficient service you need should you find these types of pest harbouring in your home. The brown rat is wary of changes to its environment; this is known as neophobia, so rat treatments can be difficult. 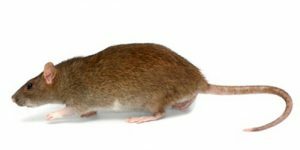 Pest control of rats is very important as an infestation of rats can cause many problems including gnawing damage to goods and structures, contamination of food and of course disease including the potentially fatal Weil’s disease and salmonellosis (food poisoning). The Black Rat, via its fleas, was responsible for the Plague. Heritage Pest Control are specialists in rat control and have many different treatment techniques. 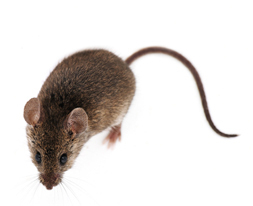 We will complete a full survey, carry out a risk assessment, give you verbal and written advice for the future and usually install rodenticide rat baits as part of an integrated pest control management system. Careful use of pesticides is essential so all of our staff are fully trained by the BPCA to carry out treatments for rats and other pests.